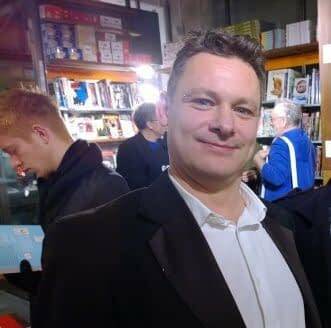 Ex-Vertigo and ex-Humanoids editor Tim Pilcher has accepted an offer from British graphic novel and comic publisher Soaring Penguin Press to become co-owner of the publisher alongside current owner John Anderson as it becomes a truly international publisher. Canadian born Anderson is returning to Canada to open a new officer for the publisher behind the likes of Meanwhile…, To End All Wars, Strangehaven and Breaks. Pilcher’s remit will be to provide marketing services as well as source appropriate material for future publications. “With John based in North America and myself in the UK we are looking to expand our publishing list and to ensure the company goes from strength to strength, “ agreed Pilcher.